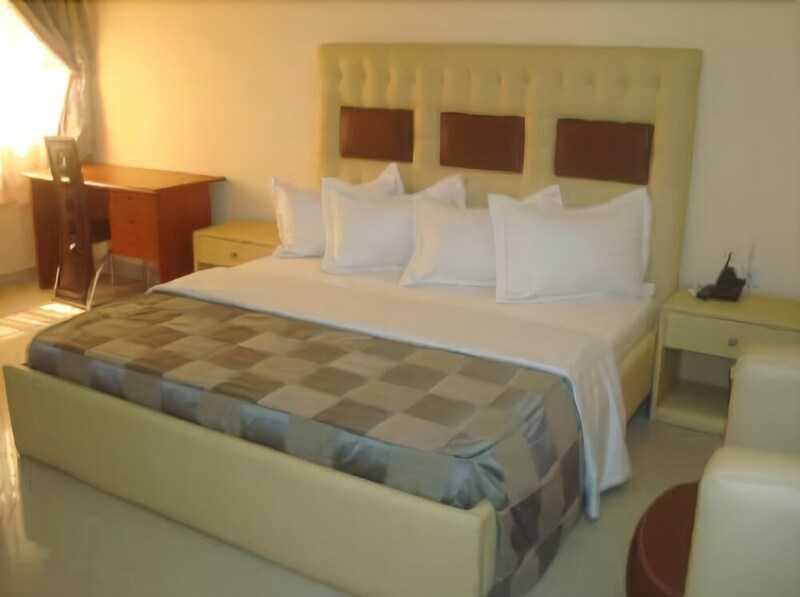 With a stay at GRANDLUXE HOTEL in Lagos (Ikeja), you'll be within a 15-minute drive of Ikeja Golf Club and Computer Village. 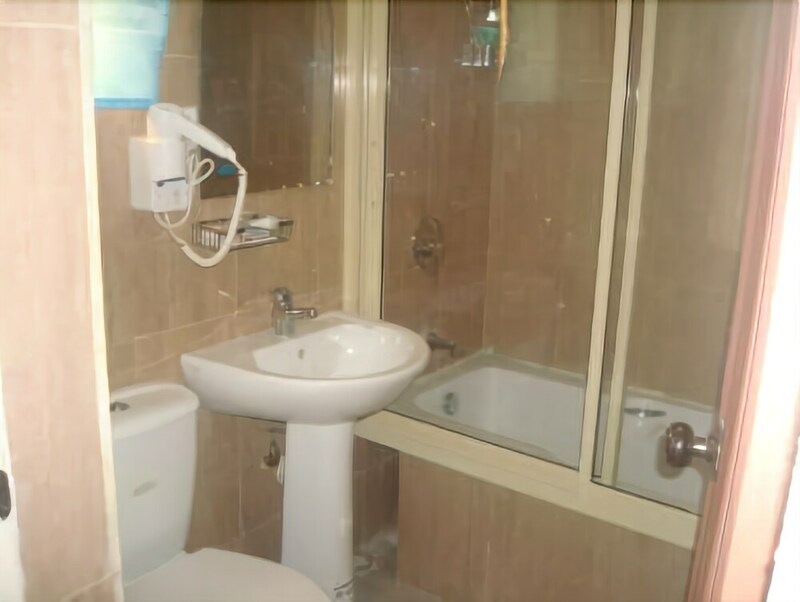 This hotel is 4.3 mi (6.9 km) from Actis Ikeja Mall and 4.9 mi (7.9 km) from Lagos State Government Secretariat. Make yourself at home in one of the 31 air-conditioned rooms featuring minibars and flat-screen televisions. Satellite programming and DVD players are provided for your entertainment, while complimentary wireless Internet access keeps you connected. Private bathrooms with showers feature complimentary toiletries and hair dryers. Conveniences include safes and desks, and housekeeping is provided daily. Enjoy a meal at the restaurant, or stay in and take advantage of the hotel's room service (during limited hours). Quench your thirst with your favorite drink at the poolside bar. A complimentary buffet breakfast is served daily from 7 AM to 10 AM.